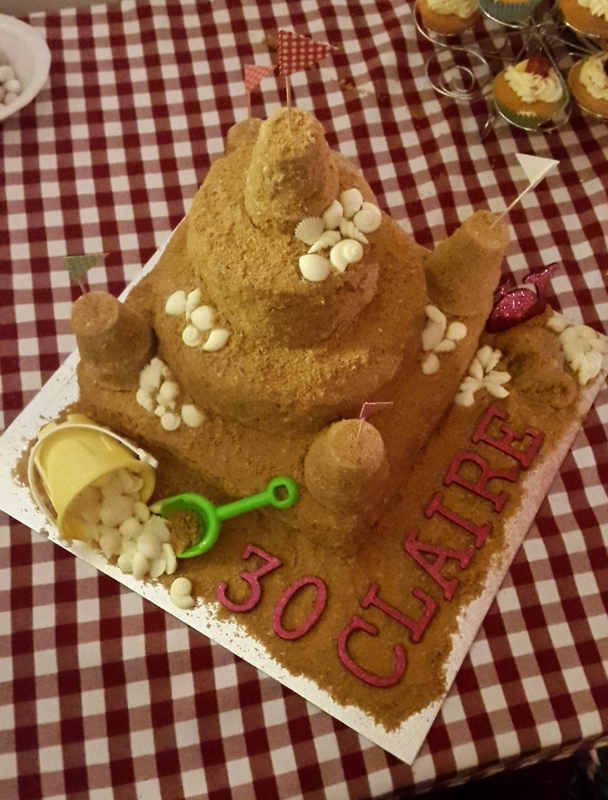 A friend and I made this sandcastle cake for a surprise 30th birthday party. We were both pretty impressed with how it turned out so I thought I would share how to make it. Blogging about it was a bit of an afterthought though so apologies for the lack of ‘in progress’ photos! The good thing about this cake is that it doesn’t need to look perfect and completely symmetrical. You can use whatever size and shape cake tins you have, and your castle can be as adventurous and as detailed – or as simple – as you like.